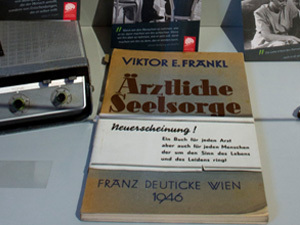 The grand opening of the world's 1st VIKTOR FRANKL MUSEUM at Mariannengasse 1 was on Thursday, March 26, 2015, on the occasion of Viktor Frankl's 110th birthday anniversary. The neurologist and psychiatrist Viktor Frankl, founder of the "Third Viennese School of Psychotherapy", resided at Mariannengasse 1 since his return to Vienna in 1945 until his death in 1997. It was there that he completed his thesis on the human person as a spiritual being, capable of defeating the worst conditions as soon as and as long as he finds meaning in life. 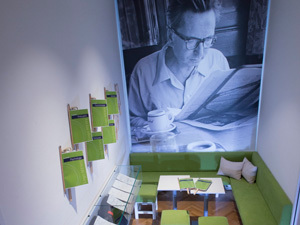 Today Frankl's workplace is an inspirational museum, in which visitors are gradually introduced to Viktor Frankl's life, his philosophy and psychotherapy. In the course of learning about the development of a genius, visitors also gain insight into their own opportunities and personal potential. 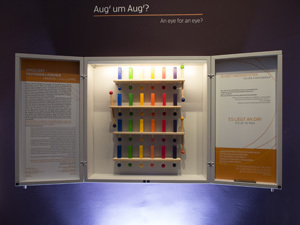 The VIKTOR FRANKL MUSEUM, an initiative of the VIKTOR FRANKL CENTER VIENNA, which is a place for education, where professionals, curious amateurs, students and pupils get acquainted with Frankl's original body of thought. Courses, seminars, workshops, lectures, literature and documentaries convey his image of man and his unique methods of healing, which help us to face the problems of today's crises- ridden world in a constructive and groundbreaking way. 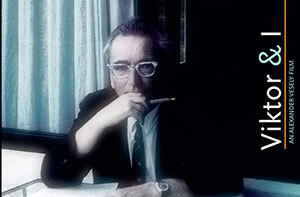 ViktorFrankl received 29 honorary doctorates and numerous international awards. With his incomparable blend of scientific precision and belief in a specific human dimension which guarantees human dignity, Frankl's work is able to reach consensus throughout human barriers. His doctrine is applied and further developed in all parts of the world.